Adam Leibovitz and his Marian University Knights are National Champs! 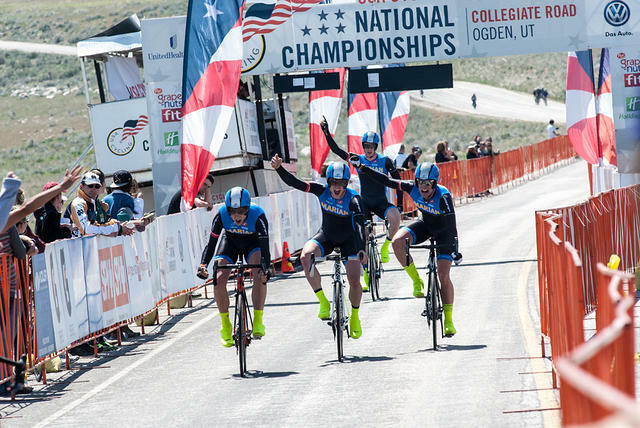 Congratulations to the Marian University Knights and Texas Roadhouse Cycling racer Adam Leibovitz on capturing the Division 1 National Championship in the Team Time Trial yesterday in Ogden, Utah. This entry was posted in Uncategorized and tagged Adam Leibovitz by roadracer13. Bookmark the permalink.